Nike has just launched a new pair of basketball sneakers whose laces tie themselves. In the 1989 movie “Return to the Future II”, Marty McFly wears a pair of sneakers whose laces tie themselves. If you have a good memory, you might recall a similar model Nike released in 2015, the HyperAdapt 1.0. However, those very expensive sneakers did not serve for the practice of sports. This is where the new Adapt BB come in. 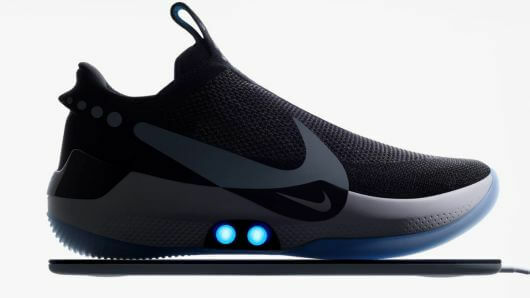 You can adjust them through a smartphone application and two buttons on the side of the sneakers. They also feature two LED lights on the sides, which can be customized to suit whoever wears them. The Nike Adapt BBs have FitAdapt technology and also feature automatic laces. During a basketball game, athletes’ feet can swell up to almost half a number, which can affect their level of comfort and performance. 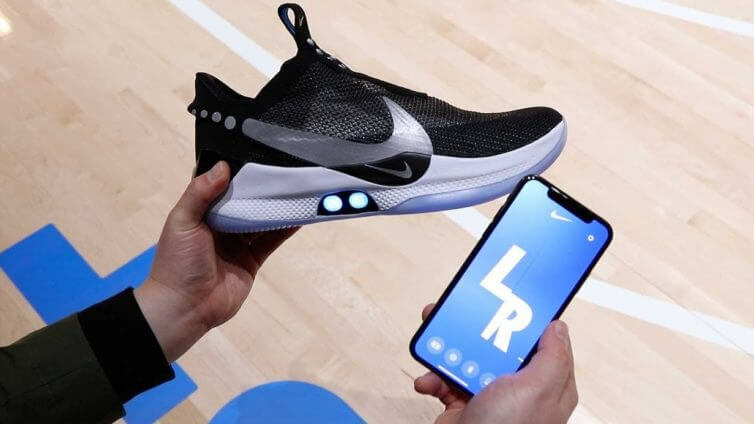 When the player’s foot enters the Nike Adapt BB, the system automatically calculates the tension required for tightening and adjusts, in real time, to keep the foot comfortable. The Adapt BB has a motor that works through several sensors and that regulates all these functionalities. The tightening system can create a force similar to the energy needed to pull a rope from a parachute. That means it stays firm in any movement of the athletes. 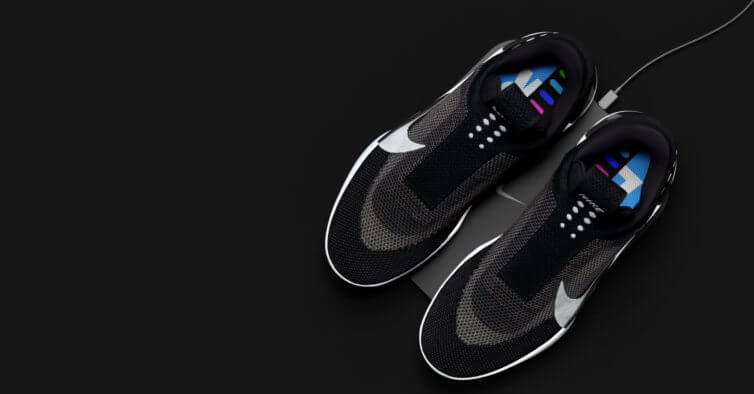 A pair of Nike’s Adapt BB costs around € 306, half the price of the initial models like HyperAdapt. They officially release in February, but they already made their debut at the feet of Boston Celtics’ player Jayson Tatum.